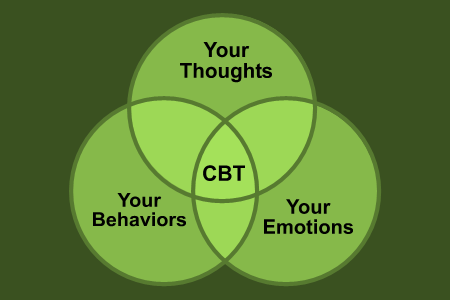 As a part of our therapy we focus on belief systems. A belief system is a deeply built construct of our thoughts, emotions, and behavior which affects every aspect of our lives. People with social anxiety have irrational and negatively skewed belief systems from years of negative experiences, thoughts, and expectations. 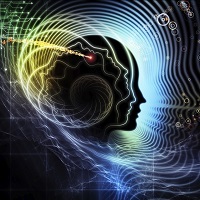 The only way to make belief systems rational is to reprogram our thoughts by going conditional first -- by realizing when we use absolute thinking like "I can NEVER do that", "that is too hard for me", "I CAN'T speak in front of people", "I'll never be able to do the job I want to do”, or “I'm way too anxious", we are off-track and being irrational. Our brains will believe what we say over and over again. If you say you CAN'T do something, you will always feel you can't do it. This may not be rational, but you already said it: "I can't do it". The brain hears and takes that thought in. Over time it becomes a BELIEF of yours. When you believe you can't do it, you are caught up in a negative self-fulfilling prophecy. Maybe it’s true that some things are too difficult for you today. (After all, it does require time and persistence to get over anxiety disorders.) But, it may not be true -- if you stick to your therapy -- in a few months. You have been lying to your brain when you say you "CAN'T" do something. You actually CAN do it, meaning you are just as capable as anyone else. But, right now, some situations cause too much anxiety. 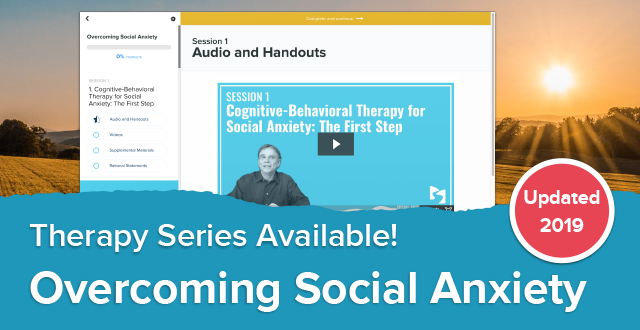 As we work with the therapy methods and strategies, our anxiety will begin to subside, especially if we can work on this in a group setting. Especially early on in the therapy, we must get ourselves away from absolute, all-or-nothing language, like ALWAYS, NEVER, CAN'T, or HATE. These words will be believed by the brain and will come back to haunt us later on. 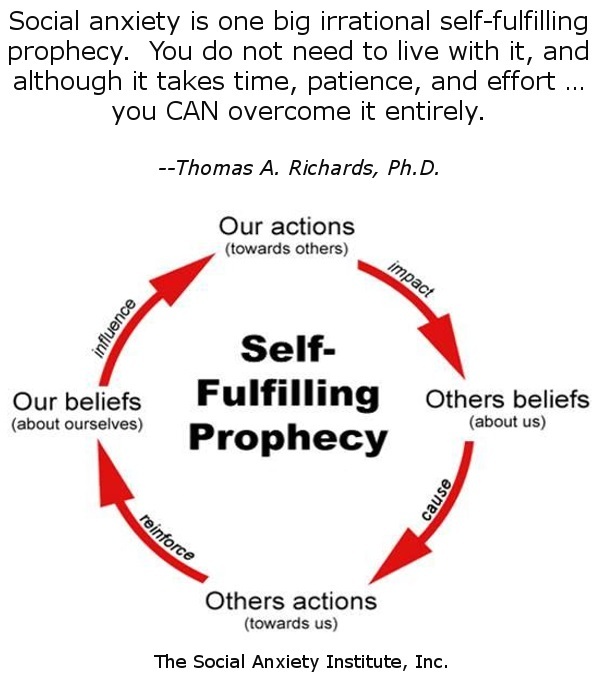 We must break out of the negative self-fulfilling prophecies we are in. We must stop telling ourselves lies and begin to go neutral and let common sense and rationality do the talking. We must talk rationally to our brains (ourselves): "This causes me too much anxiety now -- but MAYBE, JUST POSSIBLY, in another year I won't feel as much anxiety about it." Changing your thought patterns is a gradual, step-by-step process which takes consistency and persistence. Then, keep your mind OPEN and don't close it off with negative, irrational beliefs. Go conditional or neutral. MAYBE... some of the things that cause me great anxiety now will not be causing me anxiety in six months. Opening our mind up to all possibilities is crucial in this process. Stay away from absolutist thinking and believing. What we believe about ourselves today...may NOT be the truth. We may be stuck in a very negative self-fulfilling prophecy. When we open our mind up to other possibilities, instead of believing "I can't do this" or "I hate that", it affects our belief system and our emotions. Social anxiety begins to be reduced as we gently get ourselves out of the negative self-fulfilling prophecy maze. As a result, our beliefs and emotions both change.